The Ashley Kalmiski 3-Piece Table Set will showcase your eclectic sense of style! This chic trio's undermount shelving (featuring perforated gallery rails) is the perfect spot to store books, magazines and more. Basket-like in their appearance, these shelves sport a gold-tone interior that gives this collection an eye-catching splash of contrast. 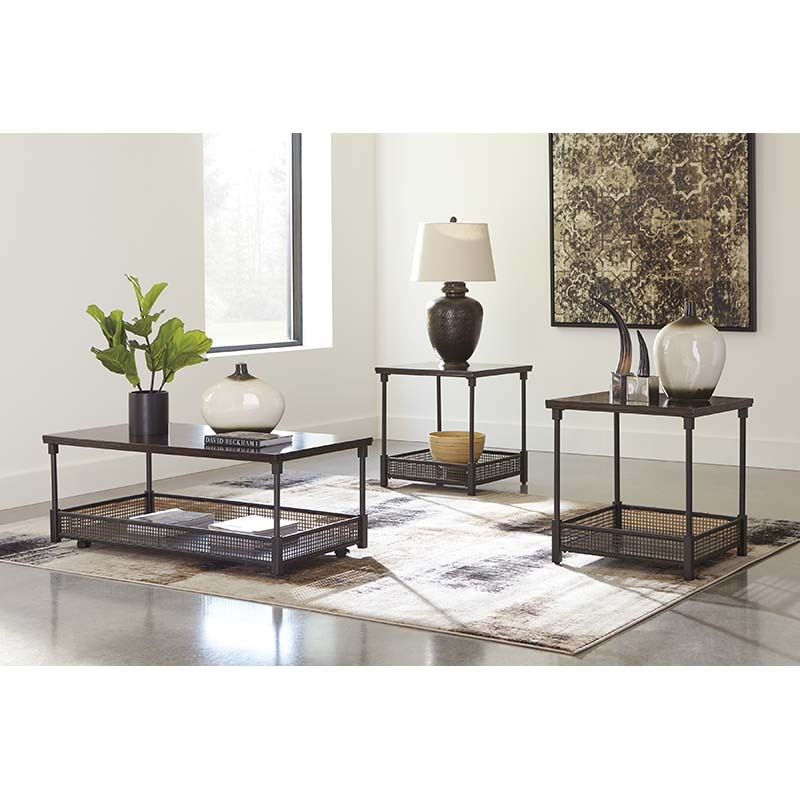 Set includes 1 coffee table and 2 end tables.